Quiz Question: Who is this character? Answer: He’s not Paul McCartney. 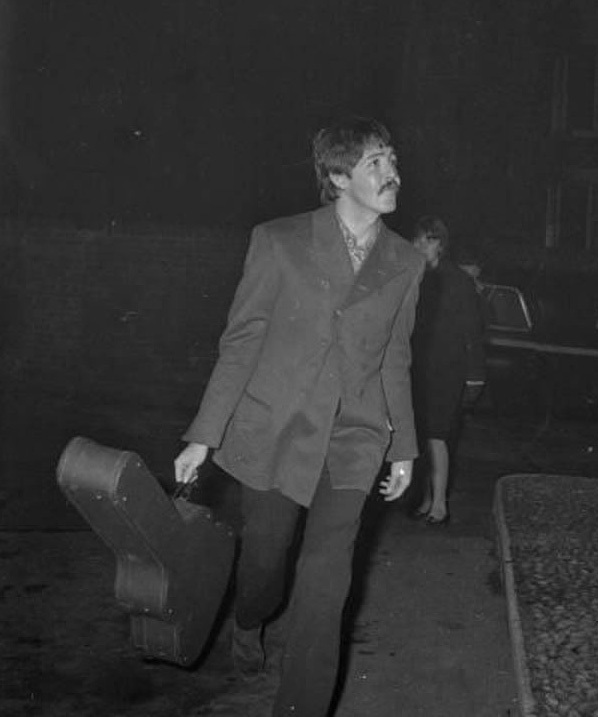 This new fella is arriving at the EMI studio on 24th November 1966, to record Strawberry Fields Forever – an ambitious new move, to record with the world-famous Beatles. Their new bass guitarist! If you feel unsure about this, I suggest perusing one or two videos – eg Here, or Here. The world has greatly forgotten what the real Paul McCartney looked like, – that cute, round-faced cherubic look, the heart and soul of the original Beatles, adored by his fans around the world – so successful has been the ‘morphing’ of the new lad. The replacement feels the old being of Paul in him somehow, feels as if he is two people. Let’s look at some of his sayings. So I thought, being Paul McCartney the whole bit is really, you know, too much to live up to: the advantages, I like to think they outweigh the disadvantages. Ringo and Paul received a Melody Maker award, in September 1966 (See the video clip, here). Was this on the 13th September? 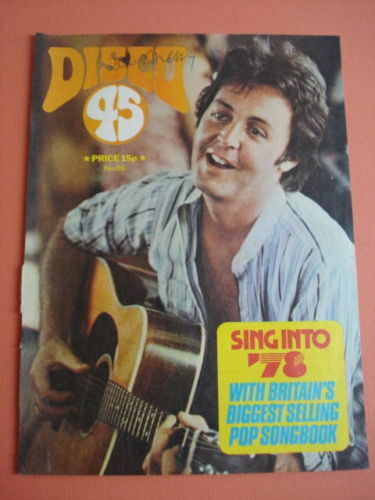 “This is the very last Paul McCartney public appearance, that was three days before the program was on air.” (Comment on video, by ‘Sun king’) On this view, the program went on air on the 13th which would put the Melody Maker awards on 10th September, the day before Paul died. That last-ever image of the charming, lovely young musician – he was so good, so true – reminds us of the Roman motto: He whom the gods love, dies young. Paul’s girlfriend since 1963, Jane Asher, had a father who was a psychiatrist-hypnotist. Paul and Jane lived in her parent’s flat in Wimpole Street -which some have felt was rather odd. If there was a Tavistock connection as some surmise, it would have been though her father Richard Asher. He would have explained to her the ‘change’ in Paul M. and help her to cope with it: but then, he had to ‘commit suicide’ (due to ‘depression’) in 1969, about a month and a half after Paul/Faul married Linda Eastman – i.e, he knew too much. 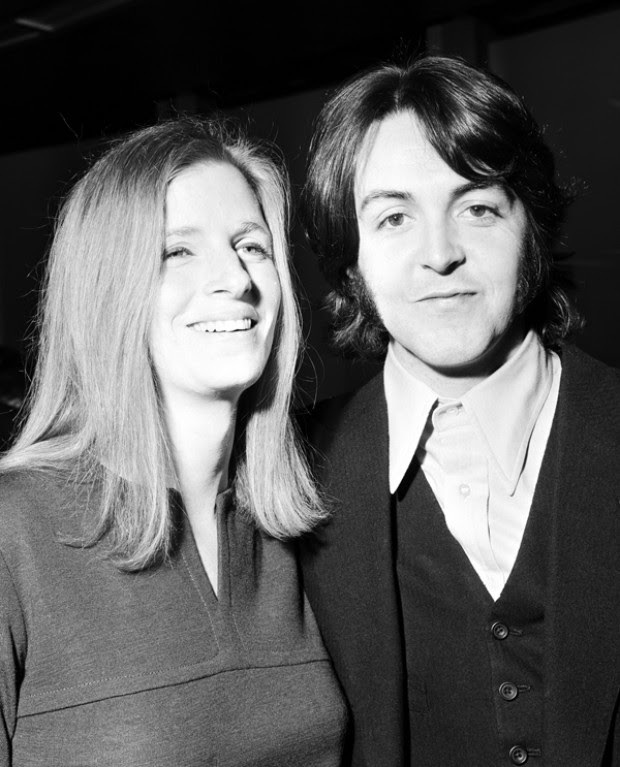 Jane had to be seen going out with the new ‘Paul.’ But once Faul married Linda Eastman, she was out of the picture and might have needed a warning never to talk about what she knew – her Father’s death would have achieved that, and to this day, she will never talk about this matter. Here is the new ‘Paul’ with Linda. The new ‘Paul’ used to go to the synagogue at St John’s Wood with his Jewish wife, which I doubt the old Paul would have done. The film The Winged Beatle – and The Last Testament are two films I’d recommended on the topic. The Winged Beatle is on Youtube, whereas the Last Testament isn’t, its 900 megabytes, get it from a torrent download. The only thing I couldn’t cure myself of was being left-handed. I do everything with my left hand, and no matter how I try I can’t change the habit. I just seem to do everything back to front. I used to even write backwards. Every time the schoolmasters would look at my handwriting they would throw swinging fits. But, these two pictures are probably ‘flipped’ left-right, see comments below. 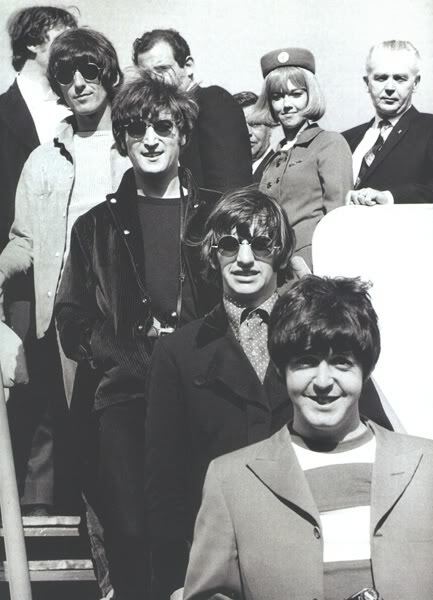 San Francisco Airport, 29 August 1966, end of the US tour: do you reckon the guy at the bottom is Paul McCartney? To help decide this – don’t rush – I suggest watching The last interview (IMO) the Fab Four ever gave, on the 16th August 1966. Its much better to watch videos rather than just photographs, as there has been so much fiddling with the photos over the years. Some say the Beatles decided to stop touring and never gave another public concert after August 1966 because the stress of having all their adoring fans around was just too much! If you believe that, note how cool and unruffled the Fab Four appear in that last interview. They are getting over the shock of Lennon’s outrageous remark about Jesus and how Christianity would soon fade away – !! – but no way do they seem about to break up. Note how close and natural is the rapport there between Paul and John: you will never see that again. Here is a picture alleged to show the ‘three Pauls.’ Do you reckon the second of these, is the guy we saw coming down the steps in the above image? Its important here to bear in mind, that doubles are common in showbiz, and their presence does not mean that anyone is dead. The Beatles’ faithful roadie Mal Evans went with the new Paul to Kenya in November 1966, and came back with him, but got bumped off (shot ‘by accident’ by the LA police) just before his tell-all book Living the Beatles Legend could be published, in 1976. But, a page of it has allegedly been viewed by Winged Beatle (61 minutes into that video) and do we reckon its genuine? A blurry Xerox scan of the original, it concerns that crucial arrival back in London on 19th November: Mal was given the unpleasant job of instructing Paul’s longtime housekeeper-butler George Kelly to pack up and leave – then the new Paul arrived the next day so the two never met, Mal stayed with him. This text is implying that a pro-British colonial style hospital in Kenya performed the initial plastic surgery on ‘Paul.’ My inserts are in square brackets. There is a gripping and scary 90-minute film, “Last Testament of George Harrison” – although the ‘Plastic Macca’ website is unimpressed, saying many PID Truthers think it is “just disinfo to discredit PID. It makes outrageous claims & focuses on goofy theories rather than sound forensic evidence that proves Paul was replaced.” Well OK but I’m recommending it, as the best film available and an excellent intro! Yes it does get things out of sequence, most importantly that it has PM killed on 9th of November 1966 – which is impossibly late. The drama has to revolve around October 1966 IMO, because that is the month with no trace of PM anywhere, he’s just gone. Then the new replacement appears in November. The Last Testament has ‘clues’ appear on the Rubber Soul and the Butcher’s cover – however they are both from well before their given death-date, which would set up severe paradoxes. Remember this film is advertised as fictional, and it might have been necessary to put in some ‘wrong’ bits so that for legal reasons they could claim it was fiction: just as they might have someone else reading George Harrison’s voice onte film. In The Long and Winding Road, “The wild and windy night that the rain washed away, has left a pool of tears” – a memory of Paul’s burial? If you listen late at night, you may think the band’s not quite right / If you think the harmony is a little dark and out of key / You’re correct, there’s nobody here. Indeed the band was not quite right, which was why it could never perform in public again, after August 1966. Sir George Martin is sometimes described as the ‘Fifth Beatle,’ for having been so much involved in producing their early albums: “He is considered one of the greatest record producers of all time,” (Wiki). Here is his new (2004) heraldic coat of arms His OBE Order of the British Empire is indicated in his Latin motto. Amore solum opus est will roughly translate as ‘All you need is love.’ Three beetles are on either side of a tyre-tread design going through them, maybe squashing the fourth? Have fun listening to me and Jim Fetzer with Clare Kuehn on the Real Deal, two hours! The right-hand playing photos are FLIPPED. They are clues, not literal photos of his playing right-handed. He does tend to do a lot more things right-handed, however, than Paul ever would. And THE LAST TESTAMENT OF GEORGE HARRISON is definitely DISINFO. You may like it because it seems like a clear narrative, less about compiling info and making tough sleuthing work, as The Winged Beatle does. But the “Last Testament” has glaring errors which are not mere errors: Mills is said to be Rita, some chick who was in the car, yadda yadda (a character introduced into some “clue-finder” narratives on the death), but Mills was a child; the Harrison “clip” of talking about “Faul” not only changes the P to an F but completely remakes the interview so it is completely wrong; the Maxwell Mi5 guy is a sleight of hand about what really must have been a much wider cover-up and even murder conspiracy; the so-called clues of Rubber Soul and so on are way too early; the movie came out right when The Winged Beatle was expected, and has to have been to try to deflect attention. Not to mention that the Harrison voice is false. Highway 69 films must be a disinfo front for intel, at least partly. They also came out with “Dreams from my Real Father”, playing into the right-wing obsession with calling anyone leftist a Marxist and fearing real Marxists who were part-good/ part-bad at any point, by positing an impossible man as Obama’s father and COMPLETELY IGNORING THE BIRTH CERTIFICATE ISSUE AT ALL OR THE KENYA CONNECTIONS AT ALL. as I pointed out to you: the tire tread is not likely SQUASHING the fourth Beatle (beetle) but rather, it represents the manner of death (seemingly by a white car?) for posterity and manages beautifully to show 5 Beatles together as not only tire treads but also as musical lines. 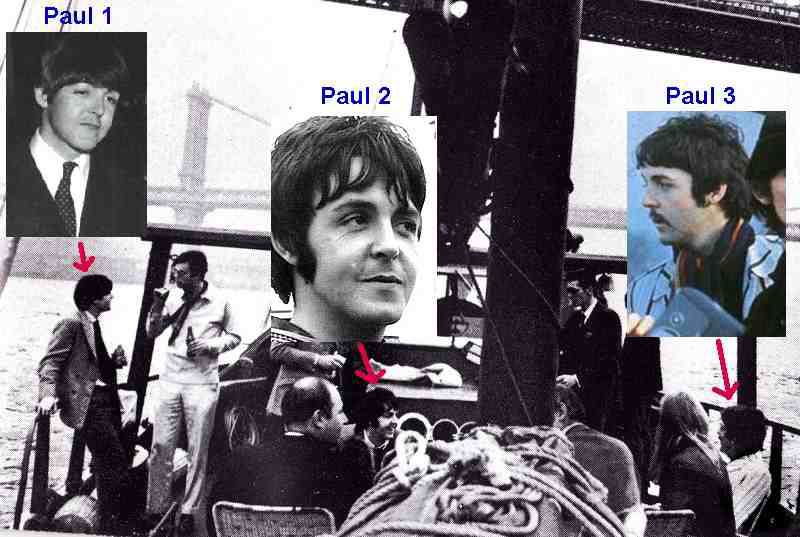 The 3 after John’s death (as Martin claimed the 3 meant) would include Sir Paul, and the 3 after Paul’s death would include John but not Paul and Sir Paul. 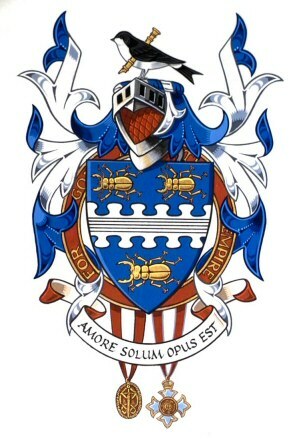 Altogether, the coat of arms is a brilliant and respectful way of indicating the major facts and players of the band, without putting 5 live beetles on there. Neil Aspinall also became head of Apple. His private company seems to have funded the Iamaphoney films. The image of the Mal lost-book page you show from my blog, originally comes from a related short video by a pseudo-pseudonym for Iamaphoney (also a pseudonym), while the full book page (with parts obscured in different flashing images) is shown in the main movie by Iamaphoney, “The Winged Beatle”. 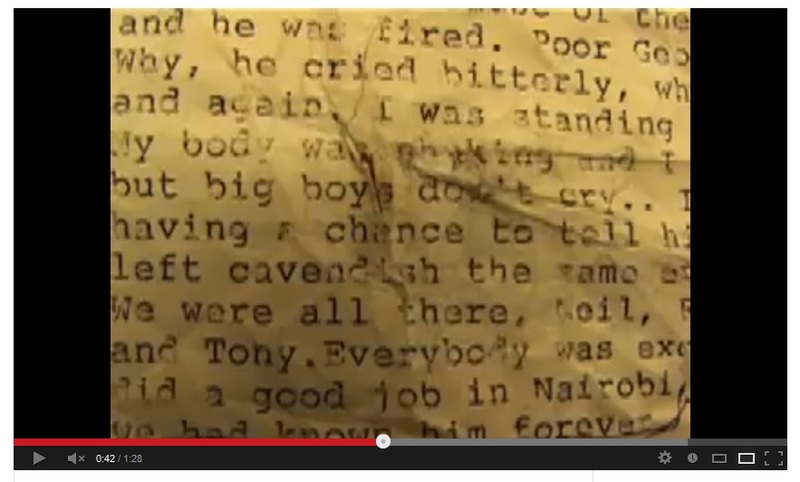 The image you show gives the “they did a good job in Nairobi” line, unobscured. Lower down on the same book page page, shown in the second flashing image of the whole book page in the movie itself, is also a remark about “the clinic in Kenya”. Mal is confirming what many have suspected: that the Kenya trip was an out-of-the-way trip to get Sir Paul his first plastic surgery in a British-friendly hospital, where only a few doctors and nurses would know what was done, in loyalty (extended spook operation). The photo of getting off the plane in the USA is Paulie, not an intermediate Paul. When one notes not the different impression one can get from the odd angle (snapshot effect) on the smile and the odd lighting from the sun, one remembers Paul had at times — a puffy smile, but not filler — and can see his eyes and fullness of emotion. It is Paul. This photo has thrown some people, but it is Paul. The shadow on the nose and the slight downturn of the head, with the intensity of the smile, leaves his nose looking a little more beakish; this happened occasionally. Sir Paul has an actually thinner and slightly down-tipped nose. The overlap in the effects on the faces but not the REASONS for the effects we see in photos, has, along with many others, confused people for years that Paul is Sir Paul — or even, now, that there were even more people in a “theatre” of Pauls, or even Georges, Johns, Ringos. The ‘Strawberry Fields Forever’ video has the original Paul McCartney in it as far as I can see, same with the other ‘Magical Mystery Tour’ videos. But the main proof is Paul’s voice, I’m sure the voice never changed to any great extent throughout the Beatles’ career, this probably can be verified using voice recognition software. And what about the politics behind the Beatles breakup, would John have fallen out so hard if the Paul of the time was just a late comer impersonator. He would have fired the neo Paul, not allow the group to collapse. This fake Paul nonsense is just the sort of lurid story Jim Fetzer likes to wallow in. Excellent comments. There’s far more to this story than just a ‘Paul is dead’ idea. This “Paul is dead” idea is just a story. Good for a laugh and nothing more. J. K. Rowling would love it. You could be Hagrid, Johnnie! I wouldn’t ask Heather Mills what time it was. She’s such a liar. I bet she has two legs. Miles Mathis, artist and maths genius does a very good investigation of Paul McCartney and his twin. So which twin was Darth Vader? If it were only the physical appearance of ‘paul mccartney’ that had changed, over the years, i’d be in some agreement with some of these critics.. But it’s more than that.. much more. His demeanor has altered over the years. The 1965 paul we see, on the david frost show, is a VERY different character to the man we see in the beige suited 1967 interview. Profoundly so. Simpler of character. Remember also, that we are not here witnessing any kind of transition from obscurity to fame, nor from youth to adulthood. Paul was in his twenties, and already very famous. These are both on youtube. I cannot imagine the ’65 paul coming out with the things said in the ’67 clip? See for yourself. Secondly, most, if not all musicians and players have their signature. For example, The Rolling Stones, The Who, Genesis, Queen, Van Morrison, Jeff Lynne, Lou Reed, The Bee Gees, all have their very distinct musical sound, or signature. Mark Knopfler, Stevie wonder, Pat Metheny, Todd Rundgren also, are usually immediately recognisable, even in the face of line up changes, etc.. This does not happen with Paul mccartney?? Not in any way? Some may attribute this to his genius, expansive and unique talent as a songsmith. Personally i hear other writers in his work, especially after Wings. I’m aware also that this is actually the case on some records (Jeff Lynne, Elvis costello etc..) I ask the reader to watch the video for ‘Waterfalls’ from mccartney 2 lp. Is that the same big tall chap with a beard on the rooftop concert 1970?? Surely not?? He’s Half the size ! The Wings stuff has some great bass lines, and there’s no doubt the man we see in 1976 is a well rounded player.. the composition is superb at times..but is it paul mccartney?? 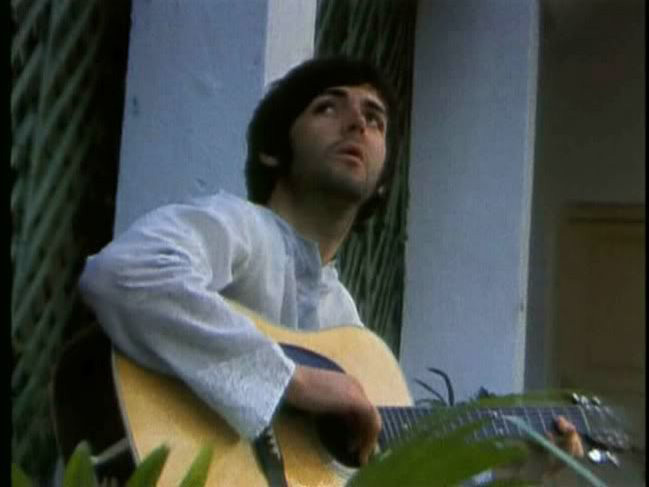 There is one clip called ‘Remember him.. Faul’ on youtube where some sensational bass playing and singing can be seen. Ive never seen him cook on the bass like that in any other footage. Finally, as nice a record as sgt peppers is, i reckon it’s composition had a lot more to do with George martin and Mal evans than we are told. Both classicaly trained themselves. They were, i’d wager, able to look back to great records such as ‘porgy and bess’ from previous decades, now ‘buried’ by rock n roll, and half forgotten. From Gershwin, Cole Porter etc. There’s not a lot new around the sun.. HOW that rings true to me with sgt peppers and parts of the white album.. I’d call it mildly plagiaristic. Even mildly annoying, to me. Like the themes and cadences in the ‘star wars’ and ‘superman’ scores are lifted, in part, from Dvorak symphony #9…. Bernard Purdie is one of the world’s greatest living drummers, with over 400 motown sessions to his name. Along with other session players, was asked during the early sixties to play on some 20 tracks. He reports that other outside musicians were hired for these recordings, one of which turned out to be ‘twist and shout’. This man has no apparent reason to mislead anyone of his acievements.. Steely Dan hired him… He is telling us that at least some of the beatles’ music wasn’t them.. Early beatles album tracks are not that great, in my opinion, whereas early rolling stones and the who seemed to immediately show promise, despite their obvious influences. The same could be said of syd barret’s pink floyd, and early bowie/ davy jones stuff. It was good from the start. Aside from the singles, beatles albums weren’t that great, initially. Did someone lend a hand with the songs?? I strongly suspect so.. This does not detract from the beauty of some of the beatles’ songs, at any point. The Wrecking Crew were a group of around a dozen prime musicians, based in the usa, during the ’60’ and ’70’s. ‘Pet Sounds’ by the beach boys, that iconic album was, in fact, performed by The Wrecking crew, who included maestro bass player Carol kaye. They also played on mamas and papas records, even The Carpenters, in the studio, were played by the wrecking crew. Plus many many more. Yes, It’s great isn’t it ! Clare Kuehn was replaced in 2010.
of Clare Kuehn before and after the 2010 replacement. The use of wigs, false noses and false ears is obvious. Also after 2010 the ClareKuehn imposter is 0.61 meters taller. and left eye bigger and lower than right eye). Based on the quotes you have at the beginning of the article I’d conclude that the person quoted, if the quotes are accurate to the word, is lying with almost every sentence uttered. Specifically, he does NOT believe most of the statements he’s making. In referring to the writing of the song ‘Yesterday’. He states that he “dreamed it”, but then immediately contradicts that assertion by claiming that he “didn’t believe” the dream was “his”, not “really”. He takes ownership of the dream, yet instantly attempts to avoid that ownership and convince you that it wasn’t “his”. The problem is with that contradiction. The initial claim is strong: “I dreamed it”, whereas the contradiction is weak in several ways. -First, he drops the pronoun. He does not say “I didn’t believe it”, indicating that psychologically he wishes to distance himself from the “belief” he’s proposing he “didn’t” have. -He further distances himself from the claim by adding “really”, showing a need to convince us of his lack of belief that the dream was “his”. -The second sentence contains all of the same things, with further weak denials. Honest people don’t feel a need to buttress their arguments with these kinds of extraneous words; “even”, “really”, “in a way”. Consider that out of a vocabulary of 25,000 words or so, he has to choose in micro-seconds which words to use. This is what his brain chose. -Adding “in a way” leaves open the possibility that there’s *another* way, or perhaps several, in which he *did* “even write it really”. It’s only in “a way” that he did *not* write the song. To say the second sentence is a weak denial is an understatement. There are numerous other signs of deception in each of the other presented statements. “That’s honest!” is interesting in that it’ s both an assertion that *dishonest* people tend to make, while also containing further distancing language. “That’s” honest, as opposed to simply “honest” or “I’m telling the truth”. Again the psychological need to distance oneself from a lie. Appeals to divinity (“Jesus Christ”), weak assertions or “hedging” language like “probably” etc. I could go on. The point being: this man’s words indicate that he does *not* believe he’s “two people” or “schizophrenic” or the like, but he displays a great need to convince that he does indeed believe those things. Has no one considered that this may all have been a stunt to begin with? Fake a death, hush it up, spread rumors, place hints on album covers and so on? What is the more logical conclusion: that he died, a replacement was found who looked enough like him, *sounded* enough like him, could play the same instruments, etc and *still* the band or their associates accepted him and even went so far as to turn their dead comrade’s experience into an on-going attention-grabbing “mystery” because…. guilt? Or that the very same types of individuals on the Sgt. Pepper’s cover concocted an elaborate hoax to sell a bunch more albums? Bear in mind that nearly every person pictured on that cover is a spook. It is literally a montage of intelligence assets. I find it more credible to conclude that the band was a creation of intelligence and never ceased to be an asset of intelligence, based on all the evidence provided and their own words. The man did *not* tell me that he didn’t write the song, and I believe him. Your points about being shown playing a right handed guitar are wrong – both pictures have been flipped horizontally – these are pictures of a musician playing a left handed guitar. How do we know this? In the shot of the magazine cover, PM’s recognisably lower left eye actually appears as his right eye in the cover, Proving the image had been flipped. Why did they flip it? Probably to not clash with the masthead design of the cover with the logo appearing too left. In the alleged shot from India, again, this is a flipped shot . How do we know? Custom made left handed guitars were very rare at the time, and most left handed players would simply restring a right handed guitar and play it upside down, as jimi Hendrix in fact did. How do we know he has done this? Because the scratch plate , the black acrylic shape on the guitar body – is at the top edge nearest his face – if it was a right handed guitar being played by a right handed player this would be on the bottom edge of the guitar , nearest his knee . Yet this is at odds with this picture which appears to show a musician fretting his chords with his left hand, which is what a right-handed player would do. The only explanation can be that his is indeed a picture which has been flipped horizontally . Viewed the correct way around it shows a right handed guitar played upside down by a left handed player. It is no proof whatsoever that the player is actually right handed. It’s really not a tyre thread in the coat of arms – it’s a musical stave!!!! It’s called a ” divider” or a dividing line in heraldic terminology. run over by a tractor. on George Martin’s coat of arms. Definitely a tractor tyre tread. Am I the only one who can see this? There are only 3 “beetles” because the 4th “beetle” perhaps stuck to the tractor’s tyre and was carried away. It happens. George Martin was the Beatles’ producer, arranger, conductor, composer and audio engineer. George Martin lived at The Old Rectory in Coleshill, Wiltshire, England. The Old Rectory was set in amazing gardens which opened to the public in 2011. Sir George would therefore have been well acquainted with tractors and tractor tyres and had probably owned several tractors which were used in maintaining his grand gardens over the years. No doubt he would have changed many a tractor tyre in his time. What better symbol than that of a tractor tyre to put on his coat of arms? what their Latin names are all I can say is; I don’t really know. Sir George is reputed to have been a keen archaeologist and ploughed up some interesting discoveries while out working in his gardens. One of these finds was an earthen jar or vase completely intact and inscribed on the bottom with the Latin words ” Iti sapis spotan dabigo ne”. The jar or vase held pride of place in Sir George’s study at the Old Rectory and he would often regale his many visitors with the story of how he came across it and would always tell them how lucky and relieved he was that he had not broken it. The inscription is old Latin and a rough translation would be something like ” Go with the flow “. are uncanny by any standards. Foreward (tentative) by Profesor Jim Fetzer. in your own John Lennon doodles. essential for the complete “blood-spatter-adding” experience of Clare Kuehn’s extraordinary opus. Re: Top of article photo: “Who is this character?” He’s carrying his guitar in his right hand. Would a real lefty do that? hand and his right hand? WTF is a “real lefty”? hand or his right hand? his left hand or his right hand? push it along on its wheels? – his left or right hand or with both hands? New research shows that Dr Nick Kollerstrom is Vivian Stanshall the well known musician, singer-songwriter, multi-instrumentalist, comic, raconteur, poet, actor and writer. project I now present my findings. OUTER ear difference — done. CRUNCH of teeth difference — done. Each one sufficient to bust sameness of person. Most people don’t realize that. But any one of these SHOWS A TRICK on you, not a hoax by them about replacement. ALL OTHER objections, without raising the idea that Nick survived to write/sing but was visually replaced, are insufficient to overturn the three above points. translate the above into English? nonsense, rubbish, balderdash, blather, blether, drivel, gobbledegook, mumbo jumbo, rot, tripe, hogwash, baloney, bilge, bosh, bull, bunk, guff, eyewash, piffle, twaddle, poppycock, phooey, hooey, malarkey, dribble, codswallop, tosh, stuff and nonsense, double Dutch, garbage, flapdoodle, blathers, wack, bushwa, applesauce, bunkum, tommyrot, cod, gammon, toffee etc., etc., etc. Sloppy, slapdash and shoddy “work”. …….As they say in Germany.